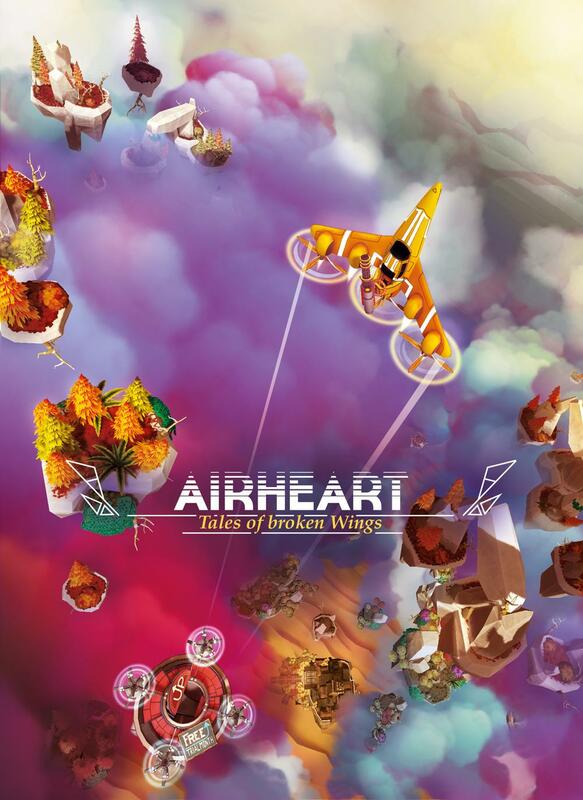 Airheart is an action packed dieselpunk airplane game about a young pilot and mechanic called Amelia. She is living on a floating city in the sky called Granaria, a rather harsh society with a stark class system. The wealthy and rich live in the bright, victorian buildings in the upper district while the less wealthy work in factories or fish in the cloud-seas for the growing use of fish-oil as fuel. A glimmer of hope is always on the horizon. The legendary skywhale, which is said to reside miles above the city in the stratosphere is supposed to bring anyone who brings its heart back down fortune and riches for lifetime provided by the government. But, the seas of the air are a dangerous place. The competition is fierce. While fishers are just trying to get by, many fish in higher regions are able to fight back and there are savage pirates about that will gladly hunt those that try to decimate the population of sky-fish and steal their prey. Build your airplane, hunt for rare fish and be the one to make it to the end of the skies! Welcome, to Amelia's wild, turmoiled life!